Byetta is an incretin mimetic used to treat Type 2 diabetes. The injectable medication has been linked to a number of serious complications, including pancreatitis, pancreatic cancer and thyroid cancer. Byetta (exenatide injection) is a twice-daily injectable drug that is used in conjunction with diet and exercise to control blood glucose in people with Type 2 diabetes. It is made from the saliva of a Gila monster, a poisonous lizard that is found in the southwestern U.S. The medication mimics the effects of glucagonlike peptide-1 (GLP-1), a hormone that reacts to high blood sugar by increasing insulin production. Amylin Pharmaceuticals obtained regulatory approval to market Byetta in 2005. In January 2012, the U.S. Food & Drug Administration (FDA) approved a once-weekly exenatide injection called Bydureon. In April of that year, Amylin was acquired by Bristol-Myers Squibb. That company’s diabetes division was purchased by AstraZeneca in 2014. In 2009, the FDA required that a notification regarding a risk of kidney damage and failure be included on Byetta’s warning label. A 2009 Canadian study also suggested that exenatide might increase the risk of heart attack and other cardiovascular events. As a result, the FDA delayed approval of Bydureon for several years. When the medication was finally approved in 2012, the agency stipulated that Amylin would conduct postmarket studies to further evaluate this potential risk. 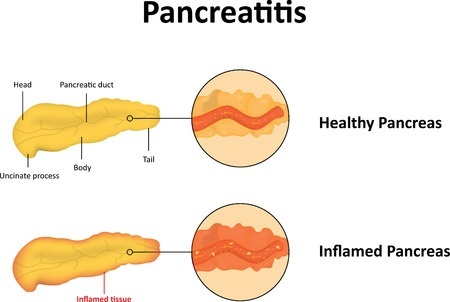 In October 2007, the FDA revealed that it had received at least 30 reports of acute pancreatitis in patients taking Byetta. A second notification issued in August 2008 disclosed six reports of necrotizing or hemorrhagic pancreatitis in patients using the drug, two of which involved fatalities. Amylin also acknowledged four additional deaths involving Byetta and pancreatitis. In March 2013, the FDA issued a Safety Communication after researchers at UCLA found evidence of pre-cancerous changes in the pancreases of patients who used Byetta. The FDA has so far been unable to conclude that Byetta increases the risk for this disease, but its review is ongoing. In 2011, a study published in Gastroenterology suggested that Byetta was associated with a 4.7-fold increased risk of thyroid cancer. The study looked at adverse events reported to the FDA from 2004 to 2009, which revealed 30 involving thyroid cancer in patients taking Byetta. The authors of the report asserted that the issue warranted further research.